Grey, Owdatoon, barbis9 and 3 others like this. barbis9, philthethrill, Anna Michele and 1 others like this. Owdatoon, barbis9, safielstar and 2 others like this. Grey, Owdatoon, barbis9 and 4 others like this. Thanks to everyone for posting these codes! I hope new Chching offers show up soon. As a CHCH viewer & CH-CHing! member, Feld Entertainment is pleased to offer this limited time presale opportunity to purchase Monster Jam tickets before the public! 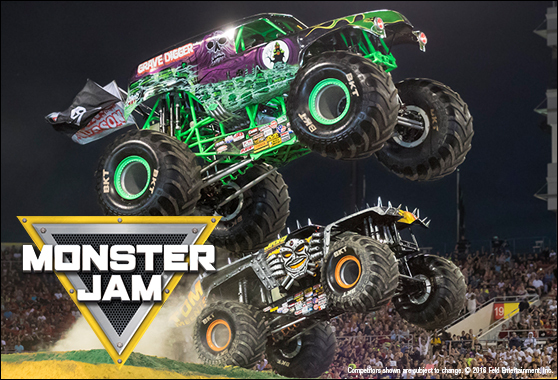 Monster Jam is adrenaline-charged family entertainment featuring some of the most recognizable trucks in the world including Grave Digger , Max-DTM and many more. 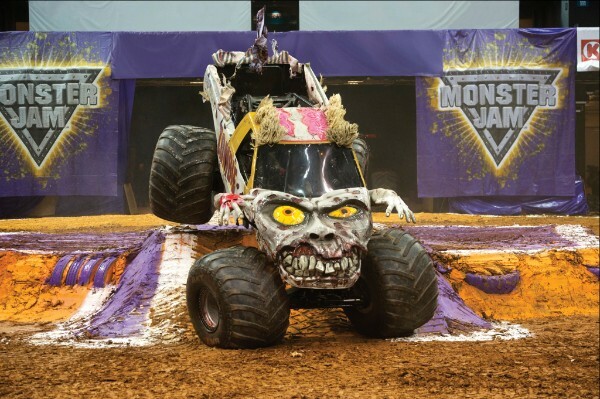 Our world-class drivers push these perfectly engineered Monster Jam trucks to their limits in Freestyle, 2-Wheel Skills and Racing competitions that promise to put families on the edge of their seats in this unexpected, unscripted and unforgettable event! Take advantage of this presale opportunity NOW until September 24 @ 10pm. Click HERE and use the offer code “CHCH” to purchase your tickets before the public! * Restrictions, exclusions and additional fees apply. Subject to availability. 8 ticket limit. Tickets at market pricing. Offer code must be used at time of purchase. Get carried away with Cirque du Soleil! The latest Cirque du Soleil production, Corteo, comes to Hamilton's FirstOntario Centre May 22 - 26, 2019. CH-CHing! members are invited to an exclusive pre-sale opportunity available now! Click here to purchase tickets before the public! ABOUT THE SHOW: The clown Mauro has passed, but his spirit is still with us. Instead of mourning, the funeral cortege celebrates the here and hereafter with laughter and exuberance. Rich, extravagant memories frolic with the senses. A festive parade that entertains; the perfect accolade for an artist whose life was dedicated to revelry and making merry. * Restrictions, exclusions and additional fees apply. Subject to availability. May not be combined with any other offer. Pre-sale offer valid until Thursday October 25, 2018 at 10AM. Click here to take advantage of the pre-sale opportunity! A family musical for your munchkins - and little dog too! Ross Petty Productions presents a brand new version of The Wizard of Oz! Children and adults will be clicking their heels (more than 3 times) to pop songs, dances, jokes, ad libs and a generous helping of audience participation! Visit the CH-CHing! catalogue for your chance to win one of 20 family packs of tickets! Winners will be drawn daily beginning November 6th. Click here to enter the draw now! The story begins on Ossington Avenue, but before you can say Emerald City, you definitely won’t think you’re in Toronto anymore! The Tin Man, Scarecrow and Cowardly Lion will Heart-ily welcome you for having the Brains and Courage to participate in all the fun. And of course the Wicked Witch of the West will enjoy sweeping away your tornado of Boos! 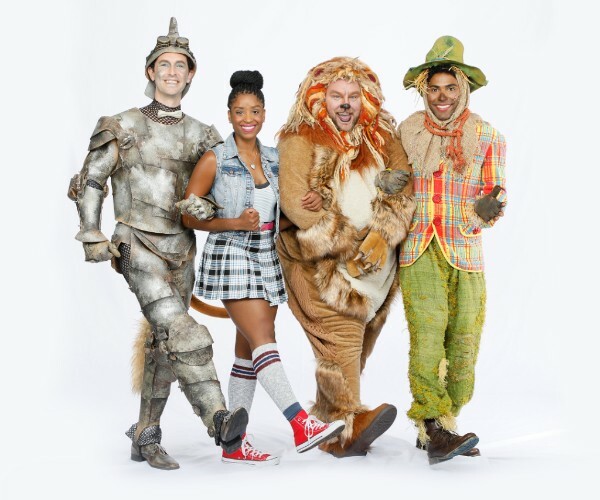 The Wizard of Oz is on stage at Elgin Theatre November 30 - January 5! A Magical Disney On Ice Offer For CH-CHing! Members! Disney On Ice celebrates 100 Years of Magic! is coming to Hamilton’s FirstOntario Centre from March 13-17, 2019. 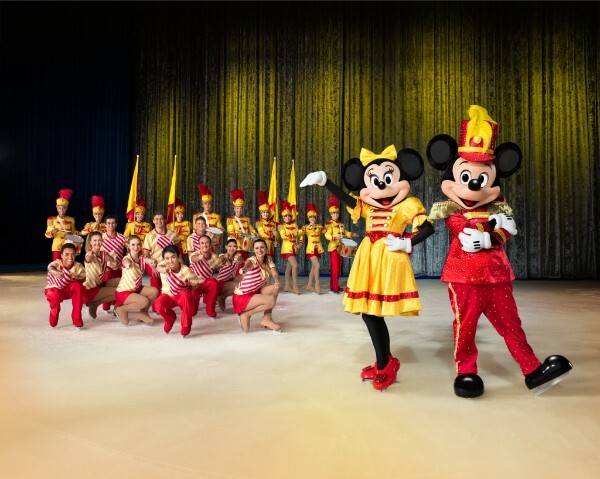 Grab your Mickey ears and get ready for the ultimate Disney experience when Disney On Ice celebrates 100 Years of Magic! Be charmed by a cast of over 50, including Mickey Mouse, Minnie Mouse, Disney Princesses, and Disney’s Frozen as they bring 14 stories and 30 songs to life, leaving your whole family captivated with memories to last a lifetime. Take advantage of this presale opportunity from Thursday November 8 @ 10am until Monday November 13 @ 10pm. Click HERE and use the password CHCH to purchase your tickets NOW! * Restrictions, exclusions and additional fees apply. Subject to availability. No double discounts. Tickets at market pricing. Offer code must be used at time of purchase. remember CHCHing day on DST is 8PM to 7-59PM the following day for points accumulation. Owdatoon and barbis9 like this.